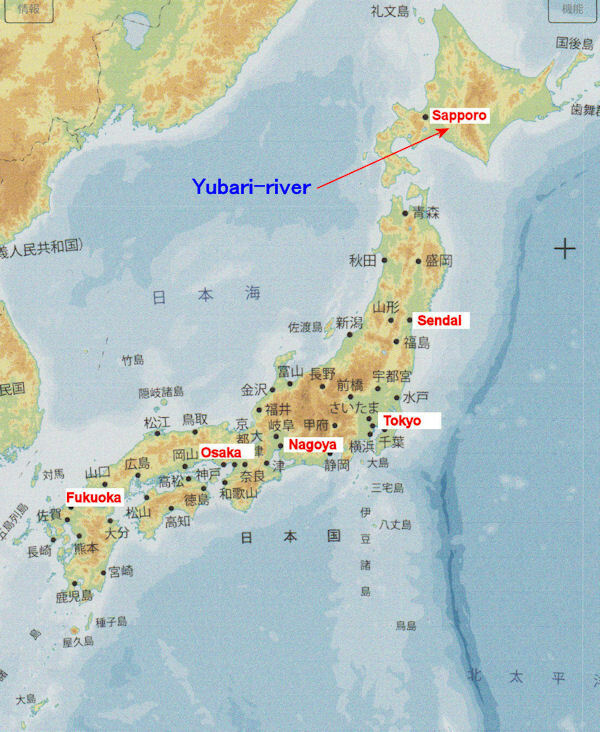 About 40 years ago, there was information that placer gold and placer platinum (platinum group metal) was dug in Yubari-river Hokkaido. I headed for Yubari-river with aluminum pan and a garden scoop. There were many coal mines around this area, but energy conversion to oil occurred and the coal industry declined. While watching the ruined coal mine housing, I went to a river near the mountain trail of Yubari-dake. Information on gold digging was obtained only from books and I had no idea how to dig gold. I saw many fossils of ammonite in the neighborhood, so I switched to fossil collection. 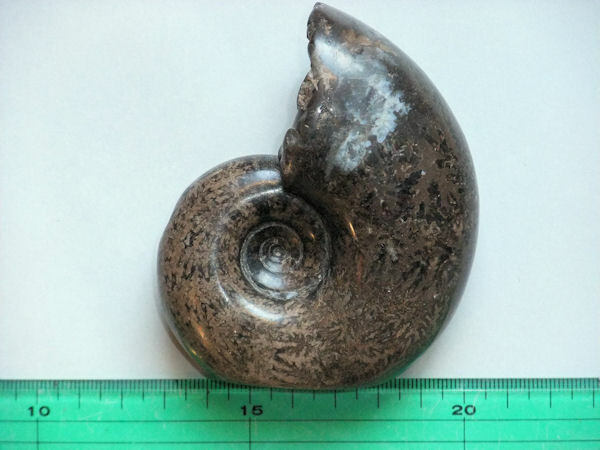 There was a part of the fossil taken by someone, but a spiral ammonite was not found. At a later date, it was reported to the newspaper that the postmaster had nearly 50 cm of ammonite, so I visited his house with sweets. When leaving his house, he gave me the ammonite with beautiful crystal structure. This is still a good memory. After that, although I was interested in gold, my hobby moved to river fishing. Regarding gold digging, there was a blank period of 40 years from this incident. In recent years, a big dam was built and a part of the gold area was submerged, but it seems that gold and platinum are still being collected. 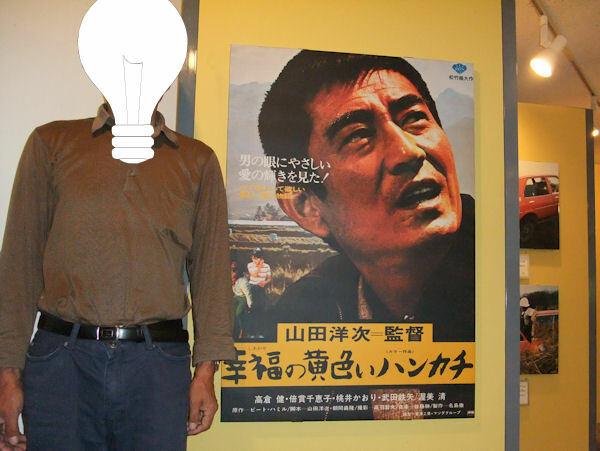 Yubari-city is the location of the movie "The Yellow Handkerchief " of Ken Takakura who died recently, there is a memorial hall in this place, many of his fans are visiting. The movie is a story at the coal mine housing. 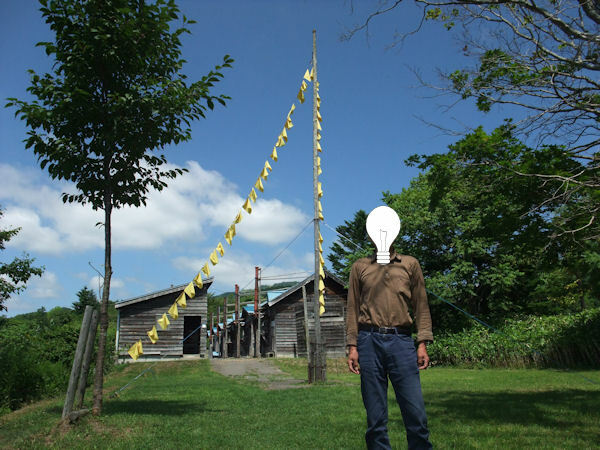 She raised many yellow handkerchiefs as an indication that she still waits for her husband returning from prison.